The CMS Collaboration gathers close to 2,500 physicists, from 180 institutes in 43 countries. 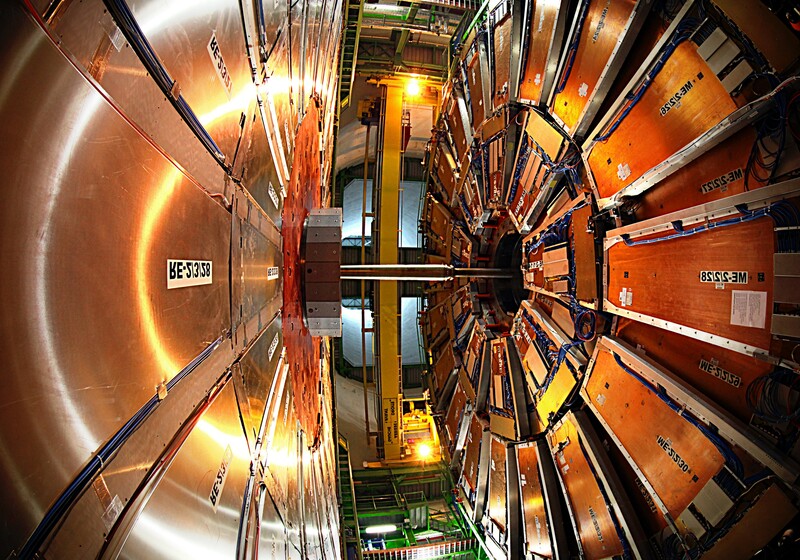 CMS is one of the two general-purpose experiments at the CERN Large Hadron Collider (LHC). CMS has recorded proton-proton collision data at 7 TeV center-of-mass energy in 2010 and 2011, then at 8 TeV in 2012 (Run 1). The Higgs boson discovery was announced at CERN in July 2012. The Run 2 of the LHC, which started in 2015 at 13 TeV energy, is on going until end of 2018. CMS has recorded more data in 2016 than during Run-1. IRFU engineers have designed the CMS magnet, which is the largest supraconducting solenoidal magnet in the World : 6 m in diameter, 12 m long, yielding a 3.8 T homogeneous and uniform magnetic field in the detection volume, which corresponds to more than 2 GJ of stored magnetic energy. The CMS group at IRFU has participated to the design and construction of the electromagnetic calorimeter, and in particular of the laser system to monitor the transparency of the crystals. The group is active in data analysis: Standard Model physics, study of the Higgs boson, search for non-standard physics. The CMS SPP group gathers 9 physicists, 1 post-doctoral scientist and 4 PhD students. The group leader is Marc Besançon.